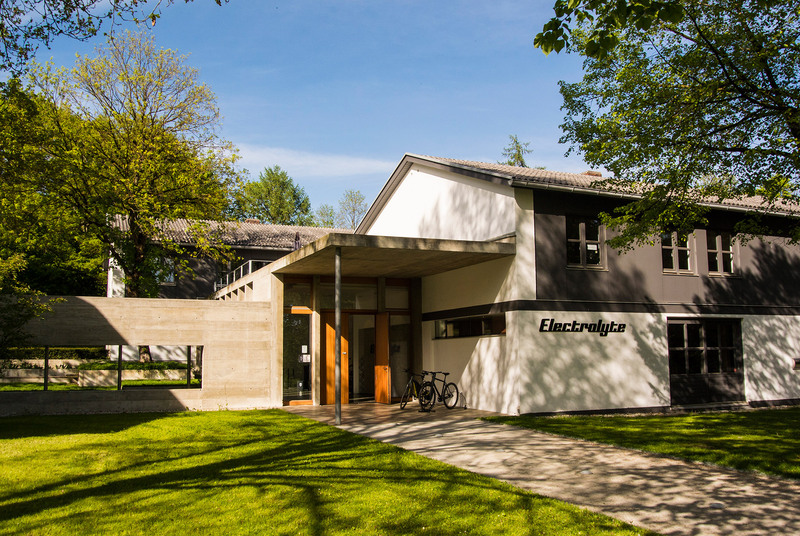 The Electrolyte GmbH offers engineering services for development, testing and quality assurance for light electric vehicles, bicycles and sports equipment. We manufacture components utilising our trusted network of production partners and can create assemblies or complete bikes in-house. We can also take on logistics for purchased parts and shipping of your products to your distribution partners. Providing after-sales service, we are your expert contact for your customers and can supply service and repairs. The combination of engineering knowledge, craftsmanship and extensive manufacturing and process technologies makes us a powerful & complete supplier. ... we've been a service provider as well as a manufacturer in the bicycle industry. During this time, we have built up a wealth of experience, which is particularly useful for start-ups in the industry. We are happy to advise you on any questions concerning the industry and your product idea. We are happy to assist you in the development of your product idea and in finding and selecting a technology concept for your product realisation. We examine the viability of your product's characteristics from a customer's perspective and give you an assessment of the comprehensibility and credibility of your concept. We support you with the estimation of purchase intention and consequently with your sales forecasting. Ensuring operational safety is a major challenge. One prerequisite is sufficient knowledge of the loads occurring during operation. Electrolyte GmbH has the necessary measuring and testing know-how to determine real-world data in the field and evaluate it accordingly. Electrolyte GmbH develops mobile measuring systems that enable the determination of operating loads in sports without interfering with the athlete. 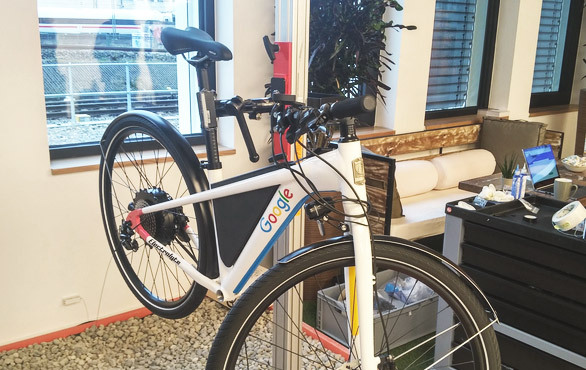 With an experienced team of designers and engineers, we create your electric vehicle, bike or sports equipment. You can be sure that functionality and manufacturability will not be neglected. Innovation cycles are getting shorter, while demand for custom products of even higher quality is on the rise and time-to-market is continually shortening. the correct use of virtual technologies has become a competitive factor, as it can largely avoid planning errors. The cost and effort of correction increases significantly, the later a problem is detected. 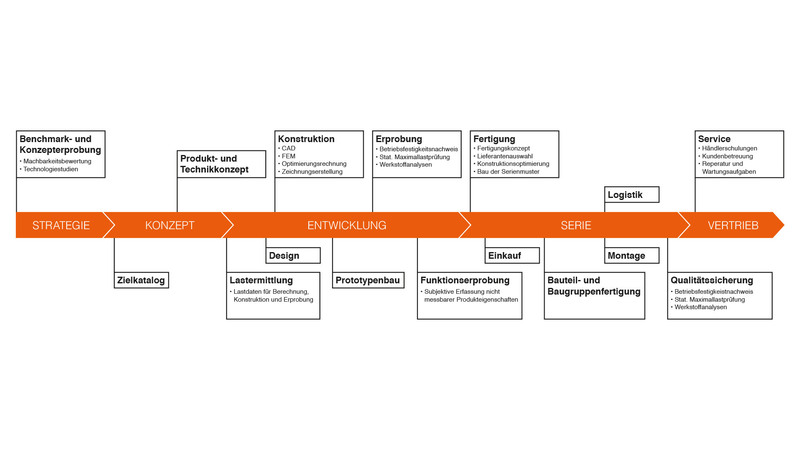 For this reason, Electrolyte GmbH evaluates and optimises the designs early on and based on simulations, if requested. State-of-the-art design tools such as CAD, FEM and optimisation software are predominantly used. As a result of the very low investment in product development compared to the cost of later changes, additional production and usage costs, Electrolyte GmbH thus ensures the quality and contributes to the process optimisation. 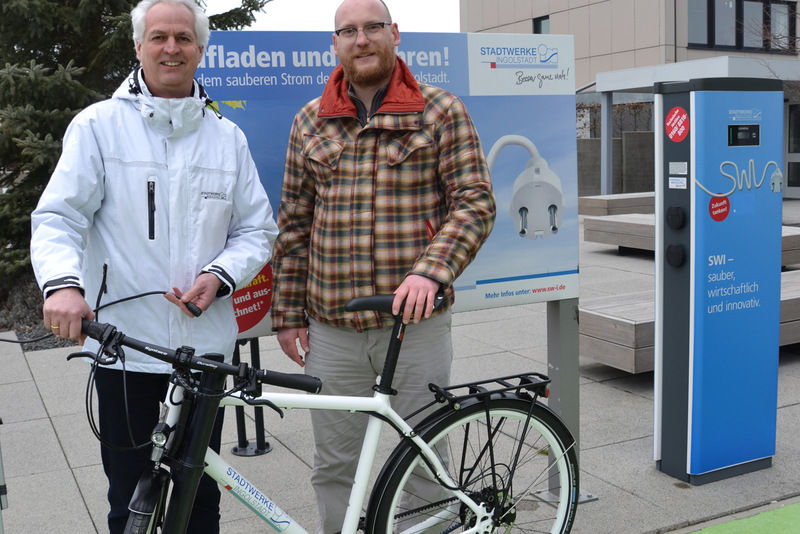 One of our core competencies, is the development of electric dives for bicycles and electric light vehicles. We design electric drives for our customers, including matching batteries and charging technology. We specify the wiring system including the wiring harness and provide hardware and software solutions for measurement and control tasks on the vehicle. 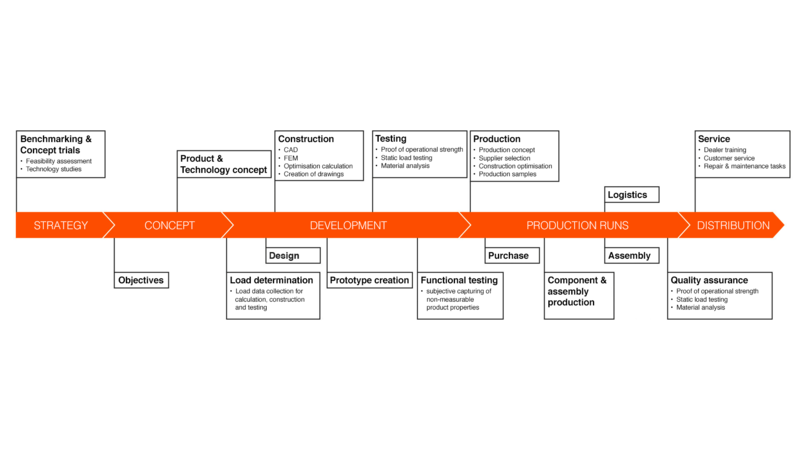 The path from sketch to final product leads through a prototype to guide the way. This can already match the external appearance and/or the technology of the final product. Depending on whether the customer feedback, functional suitability or technical feasibility is to be tested. 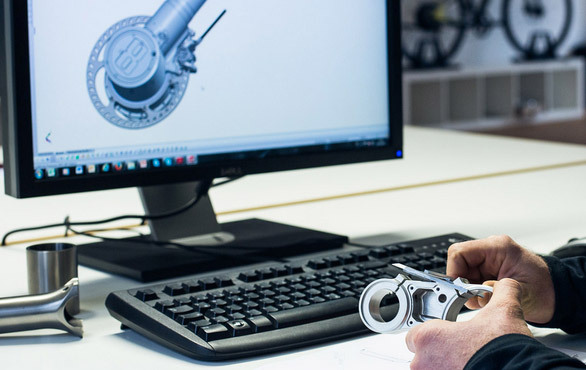 Our many years of experience in prototyping allows us to execute each step of the process internally or accompanying you – from idea to production ready one-off product. For every requirement, we can flexibly access the right material and most effective process in order to quickly and economically arrive at the high quality product. This is how we create valuable synergy. Each process and step has its own experts and infrastructure: from first design sketch to project management and final inspection of Class-A surfaces. A high level of product and quality is the best protection against liability cases and high warranty costs. With the help of static and dynamic test methods, as well as customer oriented testing, we examine your products for their suitability. 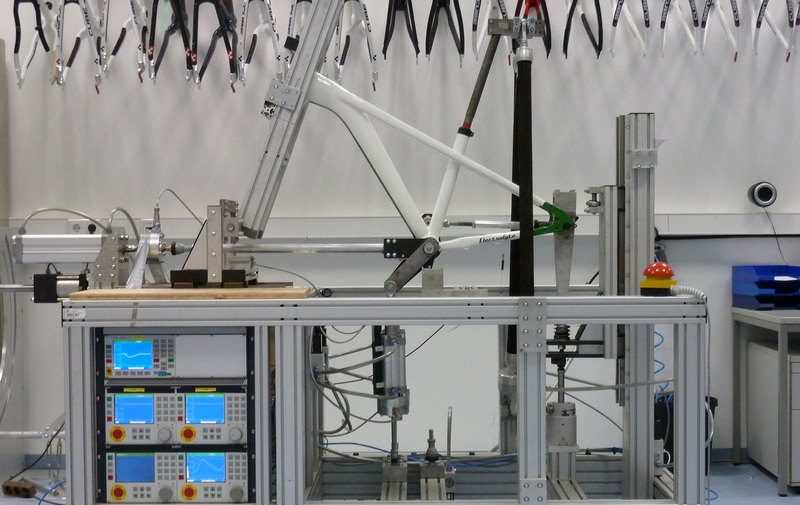 In lab testing, we examine bicycles and components using maximum load and overload tests as well as fatigue tests in accordance with the current standards. In addition, we also carry out material analysis. We can also support our clients in the development of their own meaningful testing standards. Electrolyte GmbH develops and manufactures testing rigs and devices which can be tailored to individual customer needs. By using state-of-the-art simulation software, it is also possible to display and evaluate test scenarios on the computer. The need for costly real-world prototypes is reduced during development, since we can collect important information about the structural and mechanical behaviour of the design in the run-up to production. For anyone in the bicycle industry, the planning, control and optimisation of the material flow represents a major challenge. The trick is to ensure parts availability for production with the lowest possible capital commitment. This requires reliable partners and experience. We are happy to assist you in purchasing your goods and storing them until they are needed. We are happy to take over the assembly of your product in-house. In single-seat assembly, your products are assembled by us to the highest quality standards. Utilising our 600m2 production area, we can react flexibly to your requirements and quantities. In addition, we also have enough space to store your components or finished products until we ship them to you or your distributors. We gladly pass on the experience gained from the development and assembly of your product to your sales partners. For this we offer dealer training and create suitable training documents. Your customers are welcome to contact us directly for technical questions. Our competent service staff is happy to help. We gladly take over repair and maintenance tasks on vehicle fleets for you. Distributors and customers can send defective products to us for service as well. The factory in in Piusheim is open for visitors. Come in, get to know us and decide if we're the right partner for you.